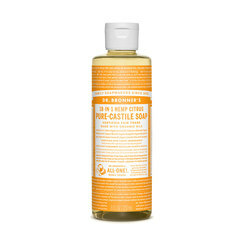 Feel the relaxing benefits of the natural lavender scent with Dr. Bronner's Lavender Liquid Soap. 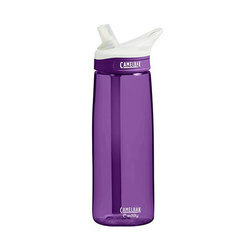 Lavender is a soothing fragrance that helps relive stress. Mr. Bronner's used only certified organic oils, certified by the Natural Organic Standards Program and packaged in 100 percent post-consumer recycled plastic. 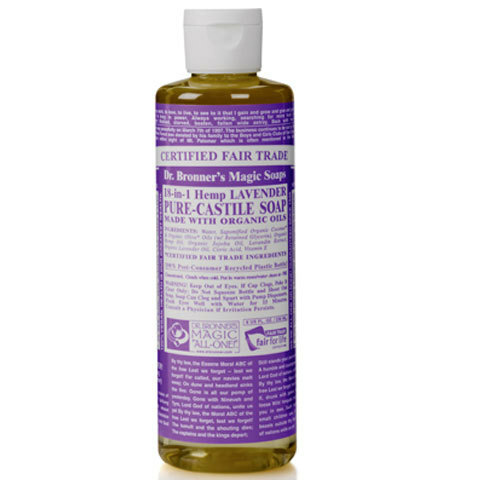 The Lavender Liquid Soap is also certified fair trade, so you can feel clean of body and conscience.